I love making shawls. 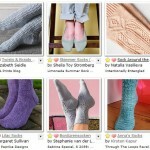 The long rows and fine yarns speak to me. And the variety too – complex lace, simple garter, lovely textures. 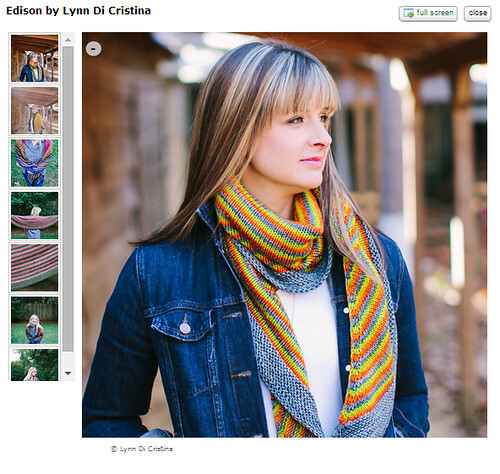 No matter what I’m in the mood to knit I know I can find a shawl that covers it. I often finish a shawl and have no idea what I’m going to do with it – what outfit? at the pub? at the office? cold weather? or warm? 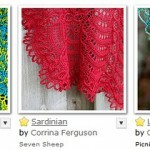 As I browsed patterns and projects a few core ideas became patterns for me – a shawl outfit formula of sorts. Pair it over a neutral outfit. Most of the pics are over a gray, black or brown outfit. They let the shawl shine. If you have lace in your shawl, make sure it’s on top of something with good contrast so it allows the lace to show. 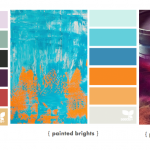 If you’re pairing it with a color – coordinate it with one of the colors in the shawl. And notice that coordinate doesn’t always mean *use* one of the colors. 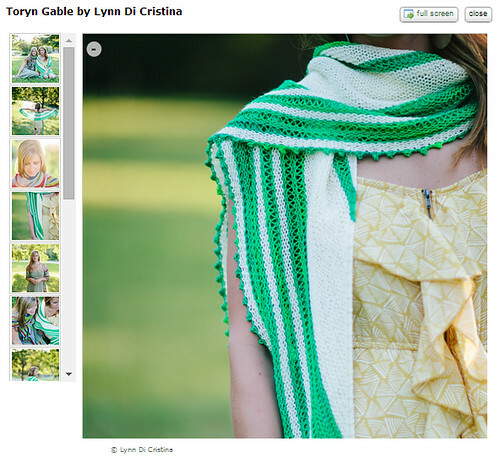 Look at the green and white Toryn Gable shawl. It tops a light yellow dress and looks stunning. Go casual – the Edison shawl looks so inviting paired with a white T shirt and denim. 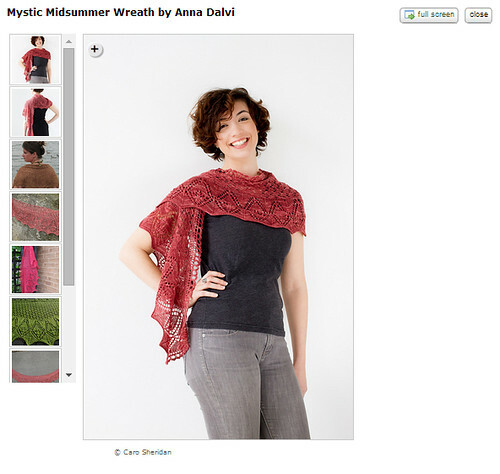 Dress it Up – the Mystic Midsummer Wreath shawl takes center stage with a pair of fitted pants and a simple top. These outfits made me look at my stash a bit differently – not just what color and fiber do I want to knit, but also what will I wear with it when it’s done? And I think having the end game in mind could also help turn WIPs into FOs too. Knitting things that I’ll actually wear. Nice. 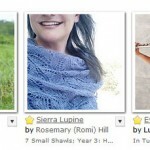 Do you have any tips for how to style knitted shawls? 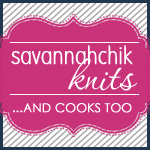 Hi Jody, I’ve already ordered the yarn for my shawl- I may have actually ordered yarn for for 4 different shawls/wraps…! WAY too hard to decide! I think what I’m most excited about is in the fall and winter with the trend leaning towards the dreaded “skinny” jeans or leggings, I’ll be happy to have something that’s flowy or with some draping to pair with them and some boots. Lord knows, in Chicago we have about 10 months of winter! Have a great weekend! I had a scarf that didn’t match anything I owned, so somehow it matched everything. 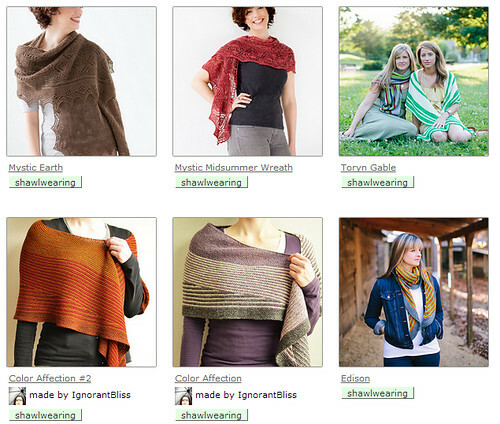 I usually just pick out the shawl that makes me most happy and try to choose a shirt that doesn’t clash horribly.